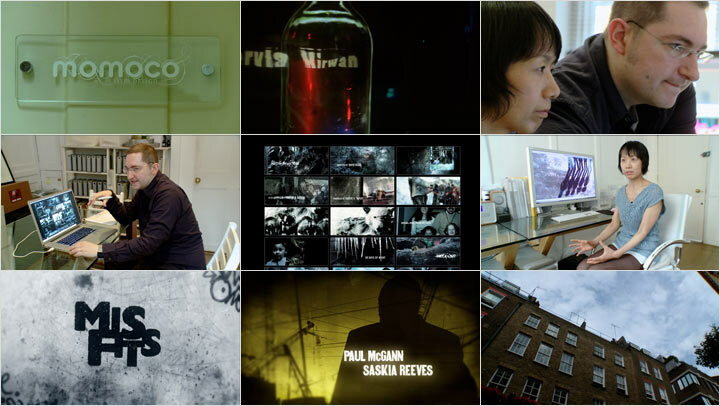 Watch the Titles premieres the main title of Copelia, we picked designer Nic Benns' brain about his pet project, and we're sharing some of Momoco's amazing process. A doctor has invented a strange new technology that converts sounds into protective organisms, which he uses to shield his precious flowers and plants. But when his creation is stolen, reproduced and used on a massive scale by The Authority to shield a town from perceived terrorism, the townsfolk become trapped inside a bizarre, evolving living structure. Copelia zooms in on one story from the entombed city: Engineer Bill Brigmann is divided by the evolving shell from his wife, Agatha, as they share their final intimate days together in a beautiful, yet terrifying world. Copelia trailer. Watch the complete short film on Vimeo, published in 2013 under its final title, The Shell. Benns, who originally wanted to become a comic book artist, made a graphic novel first to get some 'name' actors on board and get the crew interested in his vision. "It was quite a good blueprint of the style we were after and the graphic novel featured a lot of the architecture that we later used in the movie.” Coincidentally or not, all the actors in Copelia have been in movie adaptations from comic books. The main character, Bill, is played by Vincent Regan who starred in 300 and Hellboy. 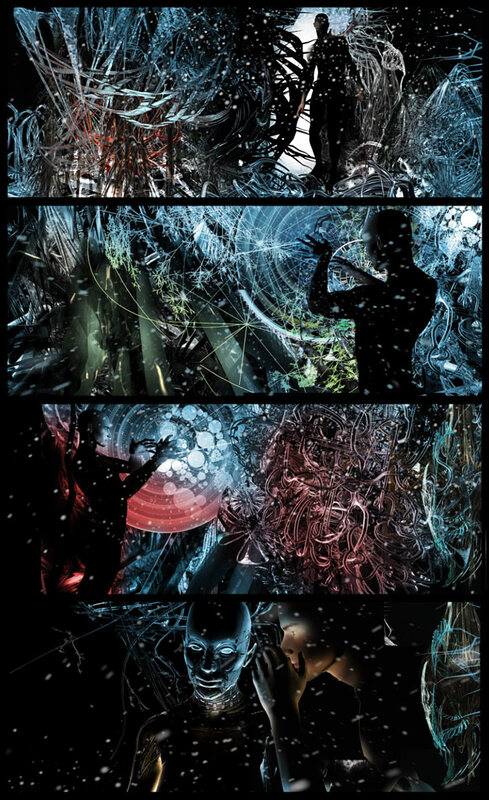 Copelia - The Graphic Novel by Nic Benns, selected pages. 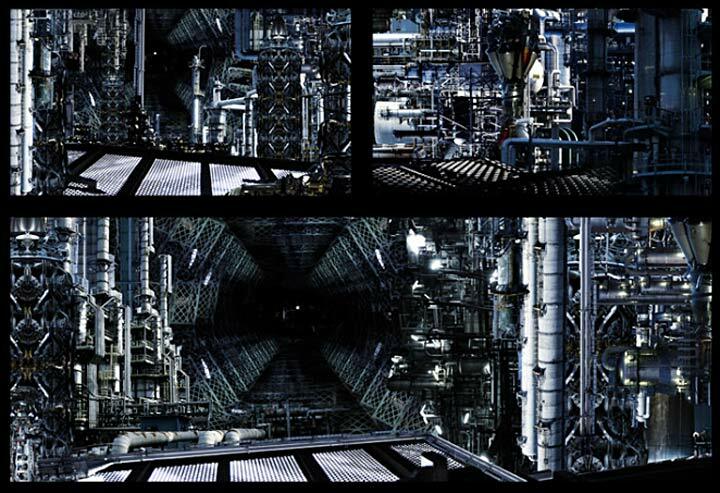 "For one of the scenes we shot lots of pipes and engine parts and parts of airplanes and composed them in 3d space and built this massive pump station. This took weeks to do." 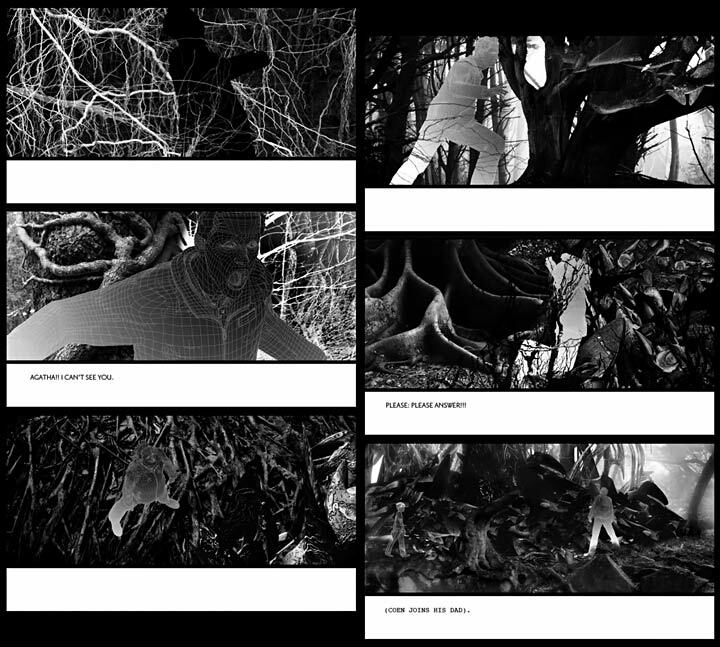 "Here are some of the storyboards that we put up in the green screen shoot. It was really good for the DP (director of photography) for framing, so he could decide what lenses to use. "These were done to communicate to the actors how they'd be positioned, and also to give them a real sense of the environments they are placed in." Copelia – Concepts for cocoons and shells. "This is an example of how one of the shots was built," explains Benns, “I have a few secrets tricks to bring everything to life. Atmosphere is very important in these things." "We shot everything on the red camera and we used Zeiss ultra prime lenses. 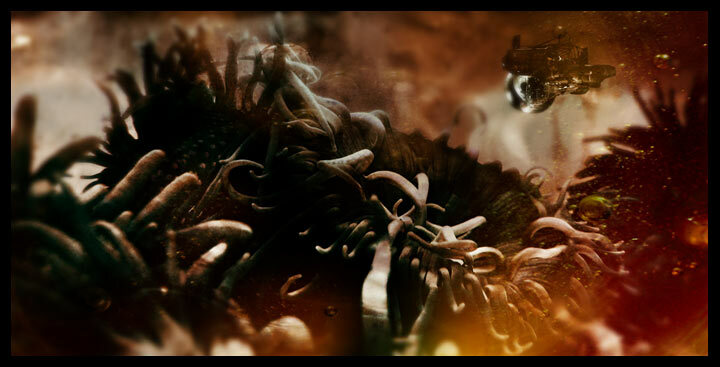 Then it was all composited in After Effects. A lot of it was composited on laptops. The technology is really lo-fi for such an ambitious project. But nothing was outsourced. We just did it between the three of us. Occasionally we bring in a fourth person for the high end 3-D. We did a lot of stuff in camera. We shot elements in tanks and then created something new out of just natural objects. So there's very little CG in it, but a lot of compositing... lots of layers. The one thing they learned from making Copelia in house, explains Benns, was to plan ahead. "We'd spend days on a tiny detail. 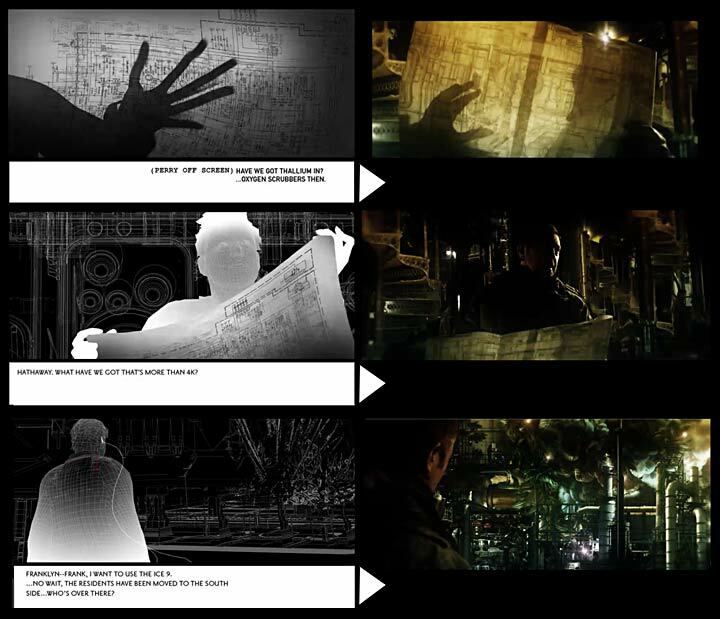 Then when we graded it the details would just be obliterated, because it was very dark. Next time we do the grading first and get a plan for that and then we know how much is actually visible. It's good to have a plan of how much of the levels is going to be seen"
"For the organic textures I was really inspired by choral formations and cellular structures. 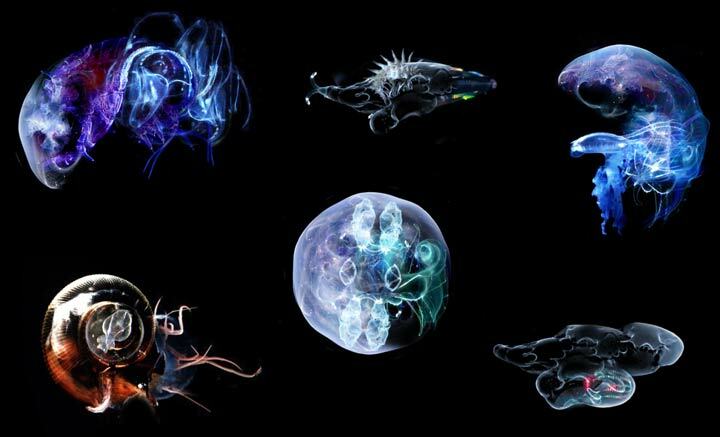 Also by Ernst Haeckel, a biologist, who did these wonderful little studies. And some of it is quite Rorschach as well and when you step back you can sometimes see faces in the design." Finally you got to design a main title for your own movie. How was that? Article: Remco Vlaanderen, © Submarine Channel, 22 December 2011. Last update 15 March 2013.